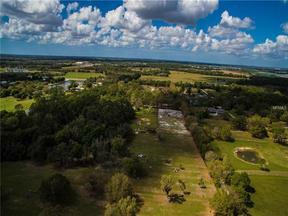 30 acres MOL only approximately 5 short miles East of I75 in a convenient location off of Fruitville Road. This working horse farm is a equine enthusiast's paradise. Huge home nestled back in the trees. 5 bedrooms, 5 bathrooms. Home has charm & character with brick floors & 2 fireplaces. 2 master suites. Spread out and live comfortably in this big home. The master suite upstairs is enormous, private with finished wood work. Feels like a lodge. Upstairs master suite features a VERY LARGE screened private balcony & HUGE walk-in closet. Large home has a newer roof. 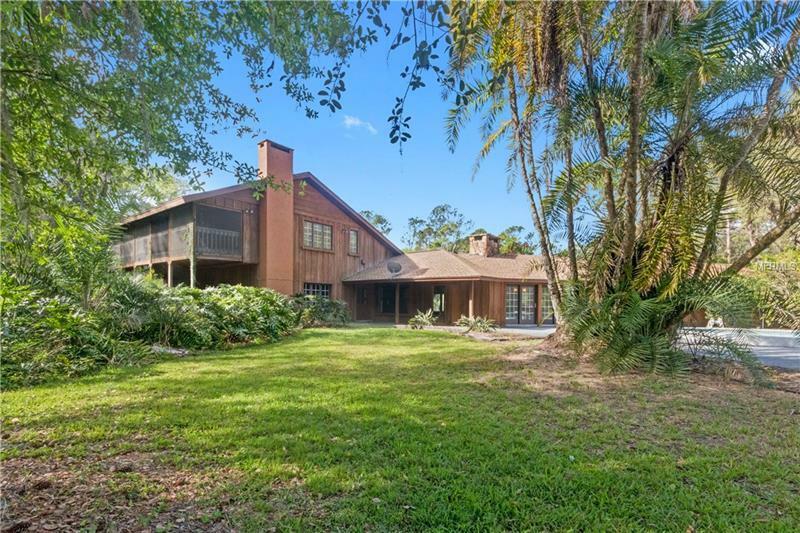 Every door & window in this home open out to see trees, wildlife & the horses. No neighbors too close. Pool & outdoor living areas are made for entertaining. Small separate 1 bedroom guest apartment by barn. 12 stall CONCRETE BLOCK barn w/ center isle, tack room, wash stall, huge paddocks! Barn & apartment are being leased by professional horse trainers. Lessons and training are going on every day at this facility. Fenced and cross fenced. Open pastures, but plenty of trees for shade. No deed restrictions, no HOA. Park the horse trailer, boat, RV, big toys. There are simply too many details to mention about this property. IT IS A MUST SEE! Schedule a private showing. Attention investors... take a look at this... Speculating on the growth of Sarasota? UNLIMITED potential here. This property is being offered for sale with Tax ID number 0206-04-0001 and 0206-03-0001. Three tax ID's combined approx 30 acres. Appointment ONLY, Don't disturb tenants.